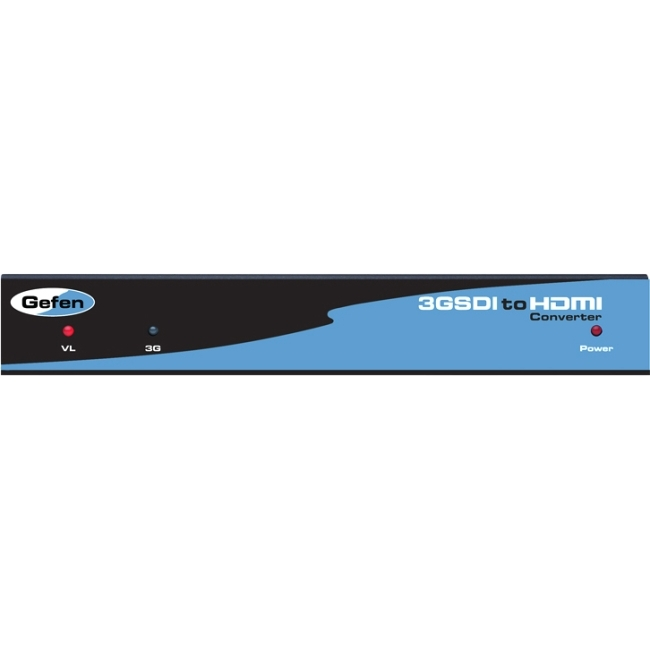 Scale or convert 3G-SDI sources with the Gefen 3G-SDI to HDMI Scaler. A wide variety of image processing functions are provided by the on-screen menu that easily enables intuitive adjustment including color balance, brightness, contrast and other options to create the best possible video output signal. Local 3G-SDI output for each of the two 3G-SDI sources permits connection to additional 3G-SDI products on a network. Alternatively, it can be used for viewing on 3G-SDI based monitors prior to processing an HDMI signal conversion.